Dehne, Robert B. - Groelle & Salmon P.A. 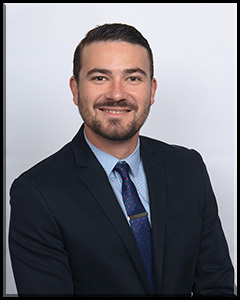 Robert “Bobby” Dehne is a partner managing the firm’s Orlando office, and focuses his practice primarily on first party property and insurance coverage matters. He has extensive experience in handling all types of property damage claims, both pre-suit and litigation, and has actively participated in a large number of SIU/fraud investigations. Mr. Dehne is a certified Florida instructor of insurance adjuster continuing education, and has presented countless insurance seminars to insurance claims staff and professionals around the Country. Over the years, Mr. Dehne has handled property losses caused by hurricane and windstorm, lightning, hail, fire, water intrusion, plumbing leaks, sinkhole, theft, as well as business interruption losses. Mr. Dehne is rated AV by the Martindale Hubbell professional rating organization upon review by his peers; the highest rating conferred on practicing attorneys by the Martindale Hubbell organization. Further, Mr. Dehne has been selected to the 2017 and 2018 Florida Super Lawyer Rising Star list, an honor reserved for those lawyers who exhibit excellence in practice, to which only 2.5% of attorneys in Florida receive this distinction. In his free time, Mr. Dehne enjoys spending time with his family, watching football, and playing golf. Mr. Dehne is also an avid Green Bay Packers, Florida State Seminoles, and UCF Knights’ fan.